Julie Galler is thrilled and honored to serve as the Interim Executive Director of the Striar Hebrew Academy for the upcoming school year. The board and an interim planning committee worked tirelessly in the spring of 2017 to devise a thoughtful and strategic transition plan that provides the opportunity for our school to reflect on its accomplishments and goals as we plan for new educational leadership for the 2019-2020 school year. Julie worked very closely with Rabbi Potok in a variety of board capacities over the past 6 years and has great respect for his vision and leadership. Transitions can be challenging, but at the same time provide exciting opportunities for growth. Julie's primary mandate is to maintain and build upon our school’s current strengths so we continue to serve our current families while also positioning ourselves to identify, attract and ultimately hire the best educational leader for our future. A top priority will be to maintain the direction of the current educational model in collaboration with our academic administrative leadership team, our faculty, our Moreh D’Atra, Rabbi Noah Cheses of the Young Israel of Sharon and the Board of Trustees. She will work to keep our current donors invested in the school as well as expanding the geographic breadth of our support base through broader community engagement in Sharon and the Greater Boston Jewish community. Julie has been committed to the success of Striar Hebrew Academy and has served on almost every committee and board position at SHAS since moving to Sharon over 22 years ago. She is very excited to now bring that passion, experience and institutional memory to her new role as the school’s interim Executive Director. Dina Saks is our Director of Teaching and Learning. In this role, she works as a support to classroom teachers and plans professional development necessary for whole-school and individual teacher growth. She joined Striar Hebrew Academy eight years ago as a classroom teacher and has been a member of the Educational Leadership Team for the past two years. With her training and background as a classroom teacher, Dina has a strong sense of what the true experience is for a SHAS teacher and helps guide the staff in curricular improvement and implementation. She has a BS in Elementary Education and an MS in Reading Education. Before coming to Striar Hebrew Academy, she taught at the Melvin J. Berman Hebrew Academy in Rockville, MD. Dina lives in Sharon with her husband and three children, Joshua (SHAS ‘16), Gabriella, and Julia. Batya Foreman is beginning her 4th year at SHAS in her role as Director of Educational Resources and Student Support. In this role, Batya ensures that our school provides a challenging and appropriate educational experience for our diverse learners. Batya received her BA in Elementary Education from Boston University and her M.Ed in Special Education from Lesley University. 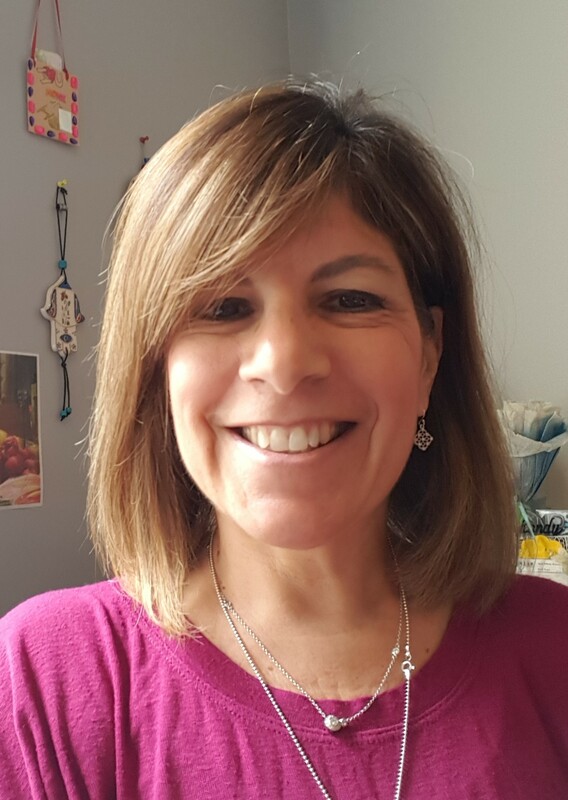 She first began her teaching career over 20 years ago at Solomon Schechter Day School, where she held numerous roles including teaching, coaching and student support. Batya lives in Sharon with her three children, two dogs and seven chickens. Randy Bergel has been an administrator at SHAS for the past six years and is currently in the role of our Admissions and Marketing Director after previously managing our early learning program as its director. She brings over 25 years of educational experience and connections within the Boston and Sharon communities to her job. Randy is looking forward to continuing to work with our current families and to meeting new families through this position. She has a BS in Psychology from the University of Florida and a master's from the Hornstein Program at Brandeis. Randy and her husband Steven live in Sharon. Their three children and son-in-law thankfully come back and forth “home” to Sharon throughout the year. Susan Lagos, Business Manager, handles all business and accounting functions at SHAS. Parents can contact Susan with any issues or questions related to tuition, financial aid, FACTS payments or tuition contracts. She is also responsible for managing employee benefits and the payroll. Susan comes to SHAS with extensive experience with Business Office bookkeeping, policies, and procedures in both public and private schools. Susan graduated with a degree from Hartwick College in Oneonta, New York. She started her financial career by training municipal and school employees in payroll and bookkeeping financial software. Susan and her husband have two sons and live in Wrentham.